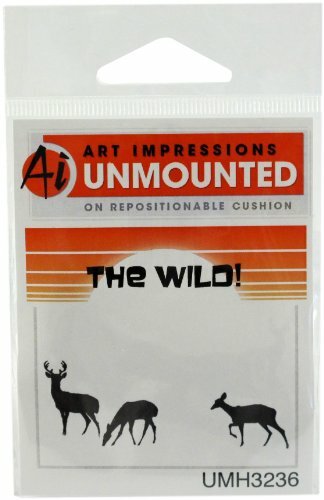 Wilderness Series - Art Impressions carries an incredible assortment of unique images while mAIntAIning the highest standard in quality rubber stamps. Since 1987 Ai has provided creative images for all of your card making and scrapbooking needs. For more inspiring images and ideas check us out at artimpressions.com. Art Impressions Cling Rubber Stamp Sets Covered Bridge, 3" x 4"